Hi everybody!! What have you been up to these beautiful spring days? Me and my girls are spending most of our days outsides, on the playgrounds :). But I still have some time to do the manis. I mostly do them in the evening when they are in beds. 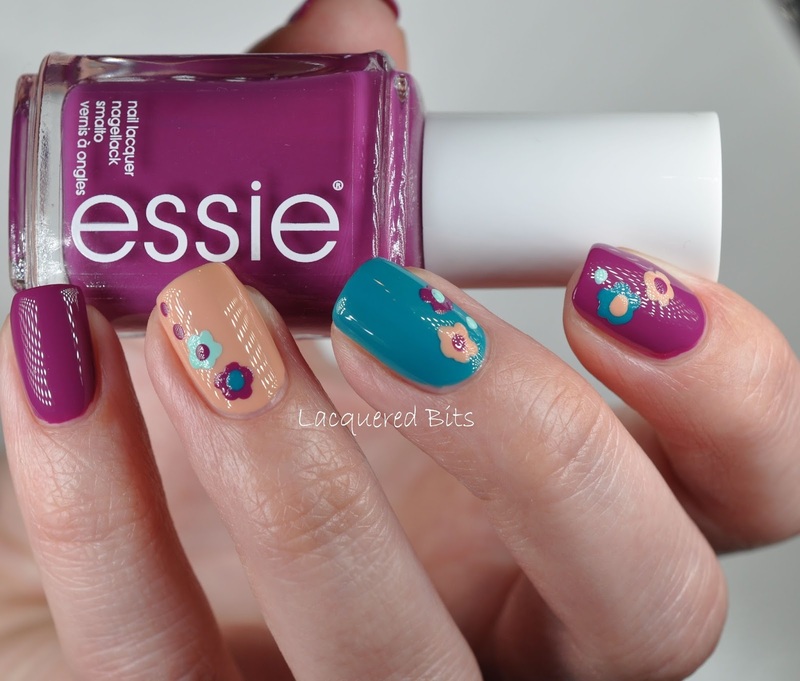 Today I went for some Essie flowers. I am sure that you have seen them somewhere on the web. 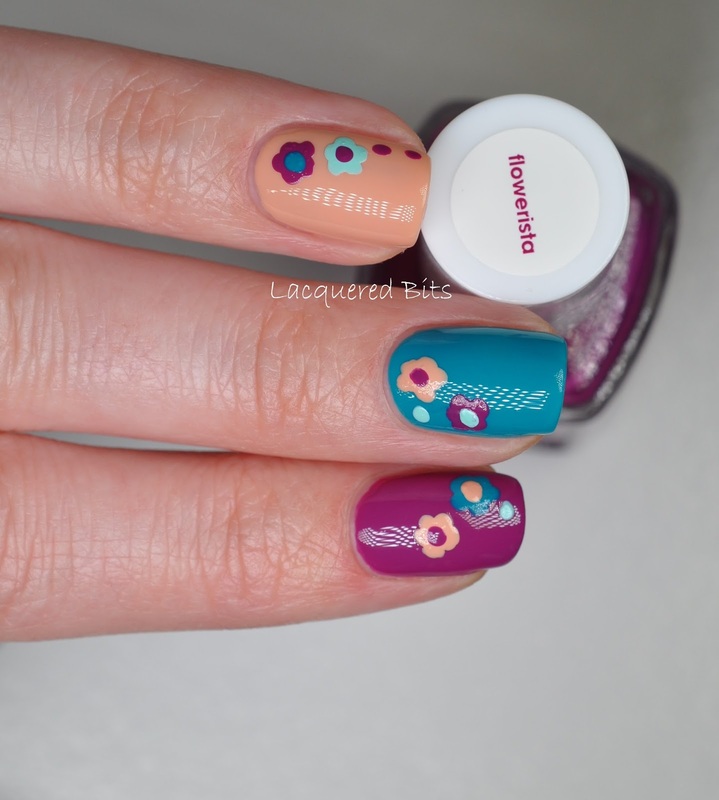 I didn’t do them exactly the same but I used the polishes that I have at the moment from their spring collection (still waiting for them to be available in Austria and to buy the missing two). They are all such beautiful colours! Perfect for spring. Some are cremes and some look to me more jelly. I have so many photos of this one and I am going to show you all of them, because I just can’t decide which ones are better. 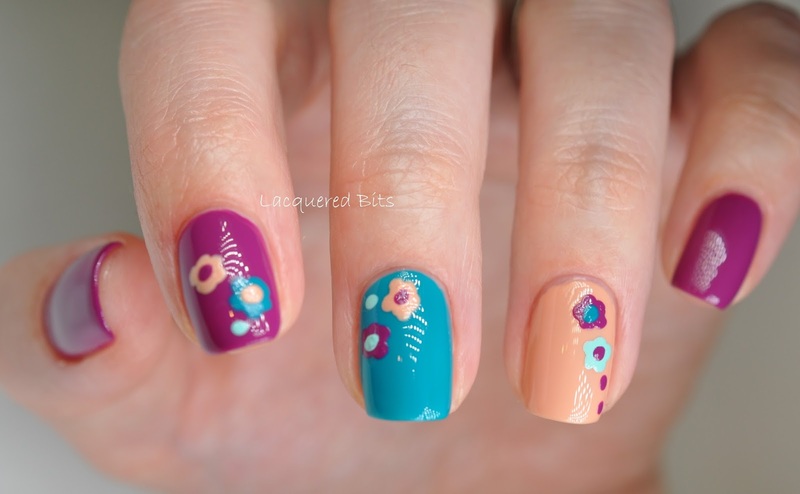 On my thumb, pointer and pinkie I used Essie – Flowerista. 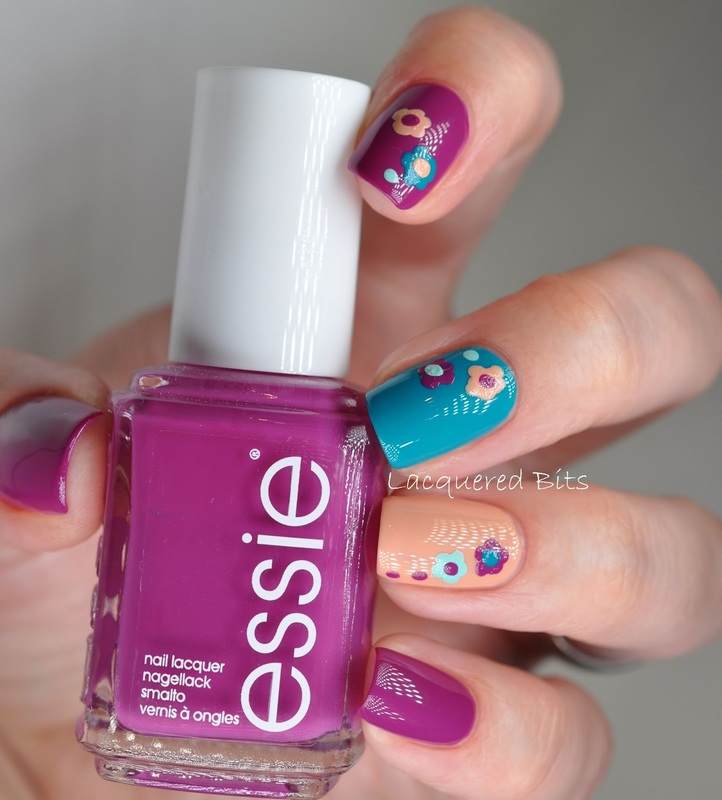 On my middle finger you can see Essie – Garden Variety and on ring finger I applied Essie – Perennial Chic. I did the flowers with the dotting tool. I don’t know why but this dotting thing is always giving me such hard times. The polish is either over flooding or there isn’t enough of it on, I just never seem to get just the right amount of it on the tool. I will have to do more manis with it, so that I can practise and then some day I hope it will get better. And of course the minty one is Essie – Blossom Dandy. 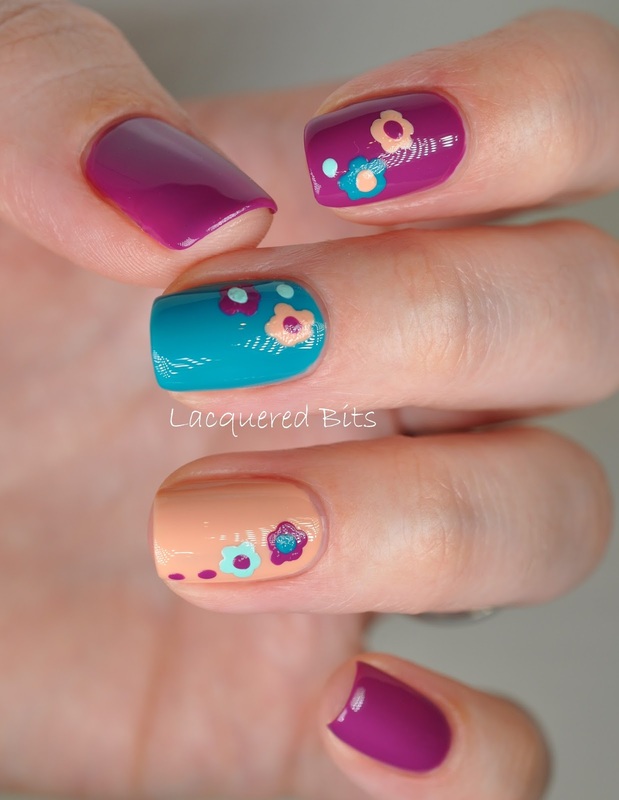 I used it in one of my previous manis, so I decided to do just flowers and some dots with it this time. And the last one. I hope there weren’t too many photos but as I mentioned before I just couldn’t decided which ones to show you. What do you think? 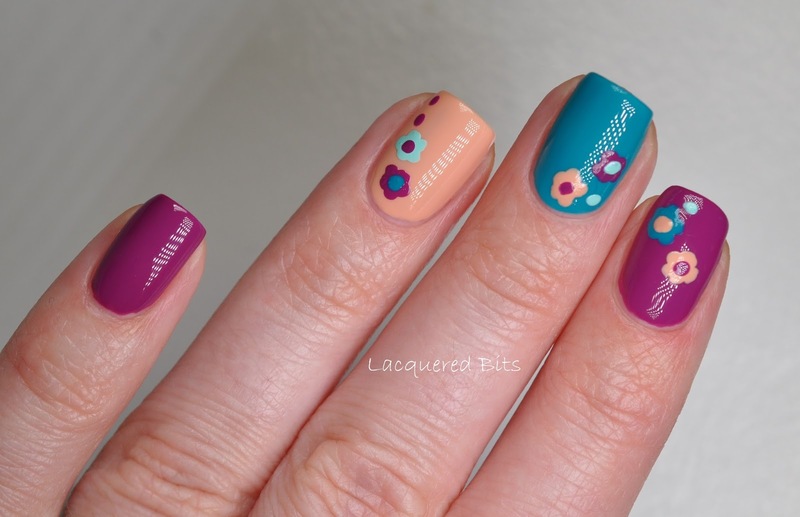 And what is your experience with the dotting tool, good or bad? These are so adorable! Simple and cute. Sometimes the dotting tool for me can be a hit or miss. Just keep trying!